Did you know that March is National Nutrition Month? This year’s key theme is “Eat Right, Your Way, Every Day.” As someone that has struggled with obesity most of my life, nutrition is something that has become more important to me than ever before as I have began incorporating healthier items in my life. 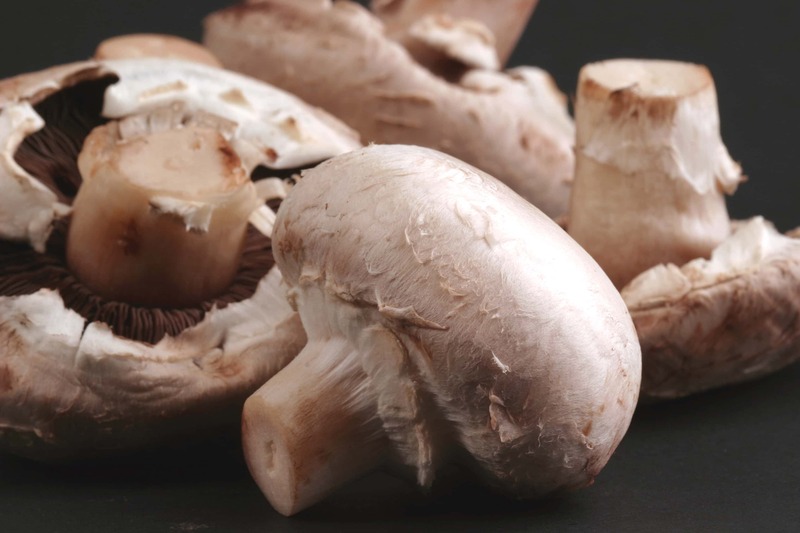 One of the foods that have definitely stood out on the road to a healthier life for both the boyfriend and myself are mushrooms as we honestly love eating meat, but know that having too much certainly isn’t healthy. I’ll admit that I haven’t always been a mushroom lover. When I was a young kid it just struck me as being so odd to want to eat something referred to as fungus and that looked so…weird. Honestly, it still sounds odd to me, but I luckily got over it and eventually tried mushrooms. Needless to say, I never looked back and love finding a way to incorporate them into various meals from breakfast to dinner. So why do I love cooking with mushrooms so much? Not only are they a “meaty” alternative packed with flavor that us carnivores love and help stretch our budget by also stretching portion sizes on the cheap, but they are also healthy. Mushrooms are fat-free, low-calorie and contain natural antioxidants, vitamins and minerals. In my mind, they are pretty much a super food. For breakfast I love using mushrooms in place of fatty sausage and bacon in omelettes and frittata, while at lunch they help keep me full in tasty quesadillas and bulked up salads. At dinner mushrooms help me use less meat and lighten up dishes like spaghetti sauce, burgers (have you ever tried a grilled portabella mushroom “burger”? yum!) and even meatloaf. I think it’s truly amazing (and awesome) how diced up mushrooms can replace all or at least some meat in dishes – and you can’t even tell the difference! We find that portabella/crimini/baby bella mushrooms are the tastiest and meatiest mushrooms and use them most often, but the traditional white button mushrooms are also wonderful stuffed for lighter snacking and appetizer options. In fact, we love mushrooms so much that I hope to attend tonight’s (3/20/13) #MushroomDish Twitter party from 8-9 PM EDT. Head on over to read more about the Mushroom Twitter party. Want more information about mushroom awesomeness and recipes? I just discovered an excellent mushroom info resource in The Mushroom Council who is all about spreading the word about the hidden treasure that mushrooms are and using them in a variety of meals! Check out their site at MushroomInfo.com and also visit The Mushroom Council’s social networks on Pinterest, Twitter and Facebook for the latest mushroom recipes and news. Disclosure: This post is part of a blog tour sponsored by The Mushroom Channel. However, all words are honest and filled with my own mushroomy love. Happy National Nutrition Month – I know I’ll be celebrating with lots of mushrooms! I say yes to mushrooms all the time. When there’s a sale I saute them and freeze them. I’ll have to try this Sarah! I wasn’t sure if they would get too watery or not. thank you for the info! i’m not sure why i never thought of there being a mushroom council, it seems every food has one now, but it never occured to me :) thank you for the links! Haha, there does seem to be a council for everything now. :) This is one I can really get behind though! I love me some Mushrooms! And Portabella Mushroom burgers are my fave. Portabella burgers are surprisingly (for this carnivorous gal) quite tasty – I find I don’t miss the meat at all! I say yes to mushrooms on a weekly basis. We LOVE them. Thanks for the info. Mushrooms are wonderful, aren’t they?